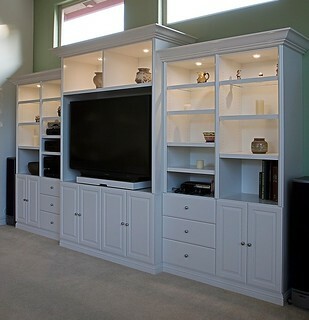 Why settle for a standard off the shelf entertainment center that doesn’t even fit your TV! Join the other excited San Diego residents who have had We’re Innovative design out a custom entertainment center. We take your personal style and home layout and create a custom entertainment center specially designed for your TV and media center, and your room!